STRIVE is a multidisciplinary facility that caters to every adult or athlete that is looking to reach a higher quality of life. 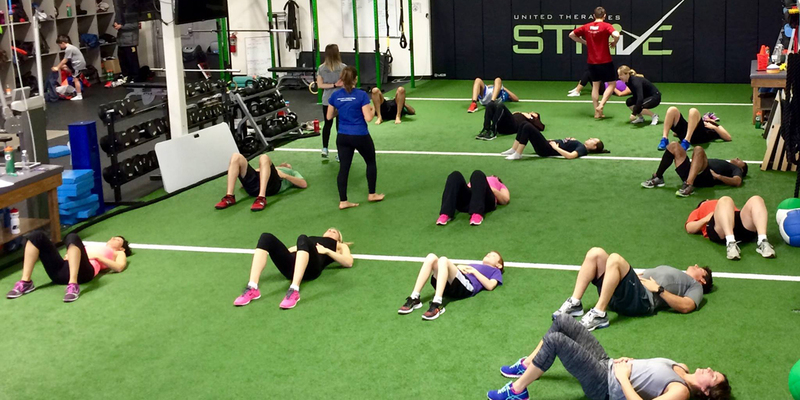 STRIVE achieves your goals of weight loss, muscle gain, performance enhancement and more through achieving and exceeding levels of functional strength, conditioning, and movement training. Extreme pride is taken to ensure we offer the absolute best in training methods and exercises available. STRIVE programs are individually prescribed based on world-renowned assessments, screens, and current knowledge. STRIVE is the only MBSC Thrive Licensed facility in Manitoba. This means that STRIVE has a very close working relationship with Mike Boyle, a world leader in Strength & Conditioning with over 30 years of experience. Our Head Coaches have been trained at Boyle's facility in Woburn, MA and STRIVE's programming is coordinated with Mike Boyle himself. STRIVE offers a unique training experience that is guaranteed to be of the highest quality. There is no doubt that we lead the industry with our 8800 square foot facility, a full service Sports Medicine and rehabilitation clinic, constant staff education our ability to help our clients maximize RESULTS!